Packed with innovations this premium roller mower is truly a revolution in grass cutting technology. 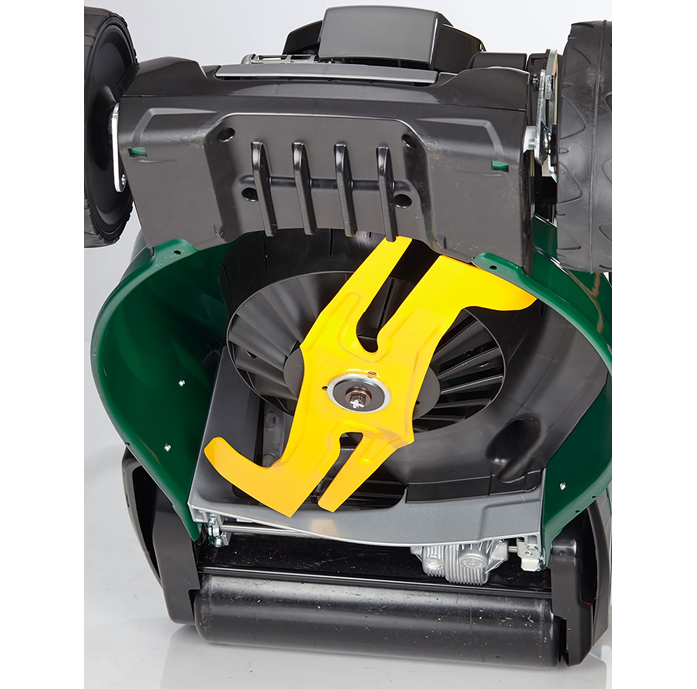 The Twinclip blade that has four cutting edges, the leading edge reduces the initial length of the grass with the following edge reducing the finished length down to the desired height. The extra finely cut clippings are then blown into the large 80 litre collector resulting in a noticeable increase in extra mowing capacity. Fitted with a powerful Honda GCV190 Autochoke engine, the large diameter steel rear roller is driven by a heavy duty Hi-Torque cone clutch transmission with a torque converter which combines light and easy operation with smooth acceleration through a range of cutting speeds from 3km/h to 4.4km/h. 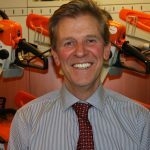 Height of cut is adjusted using a single lever and there are 8 pre-set cutting heights from 13mm-65mm. 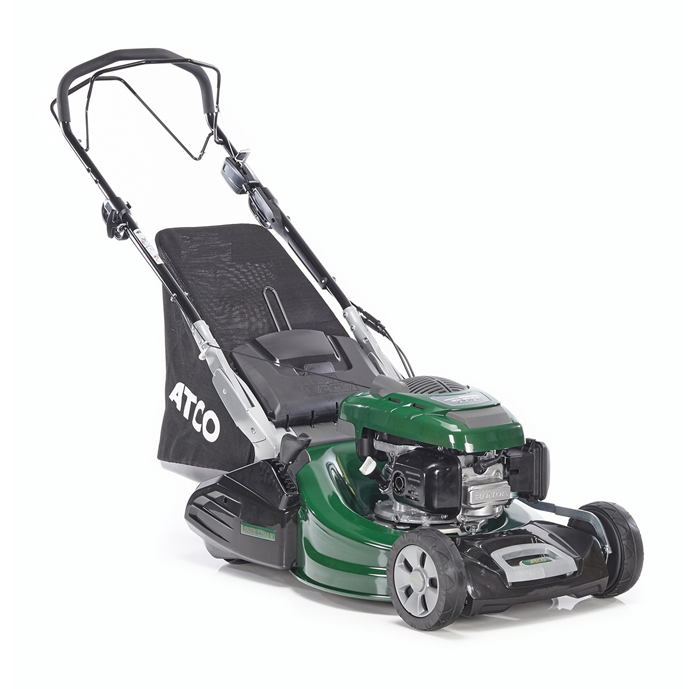 Featuring a unique hybrid chassis with the durability of a galvanized and powder coated deep drawn steel chamber with a J section lip inspired by Atco’s robust ride on mower decks and the rigidity of a cast aluminium conveyor at the rear of the machine incorporating the lower handlebar mountings. 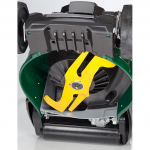 The conveyor is the perfect shape to maximise air flow which is enhanced by fins moulded into the polypropylene anti-scalp plate at the front of the mower. Cleaning after use is facilitated using a hose connection fitted to the chassis. 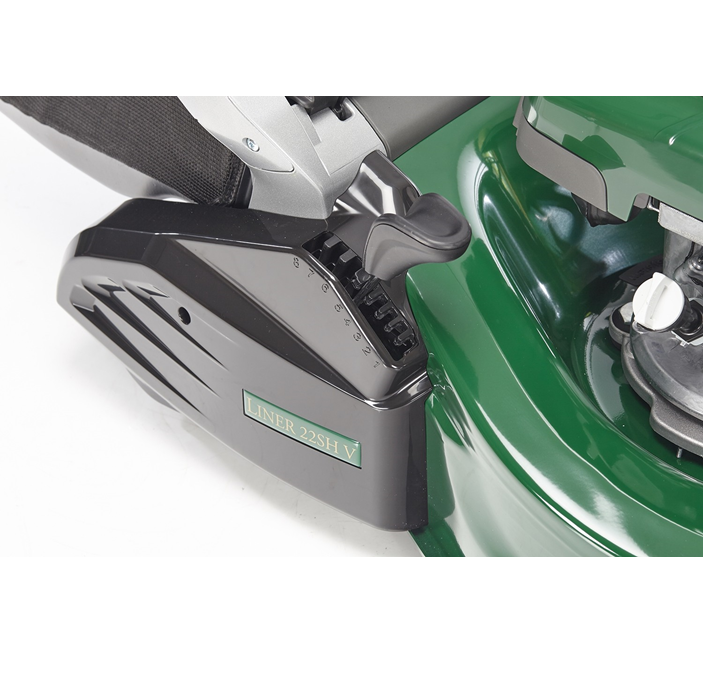 The robust handles are quickly and easily adjusted to the desired height and can be folded over the engine for easy storage.